Happy Birthday to the best brother and blogger in the world. And a darn great son! Thanks, guys! It has been a really great day, so far. 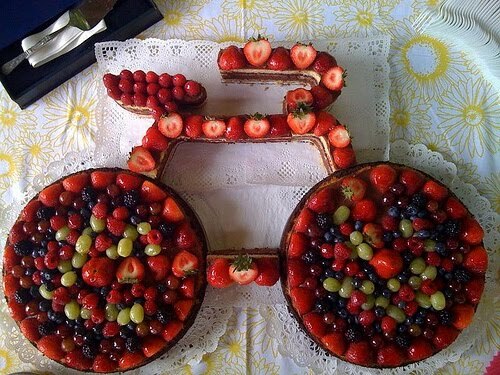 The bike works, but Nomad is not a fruit lover.